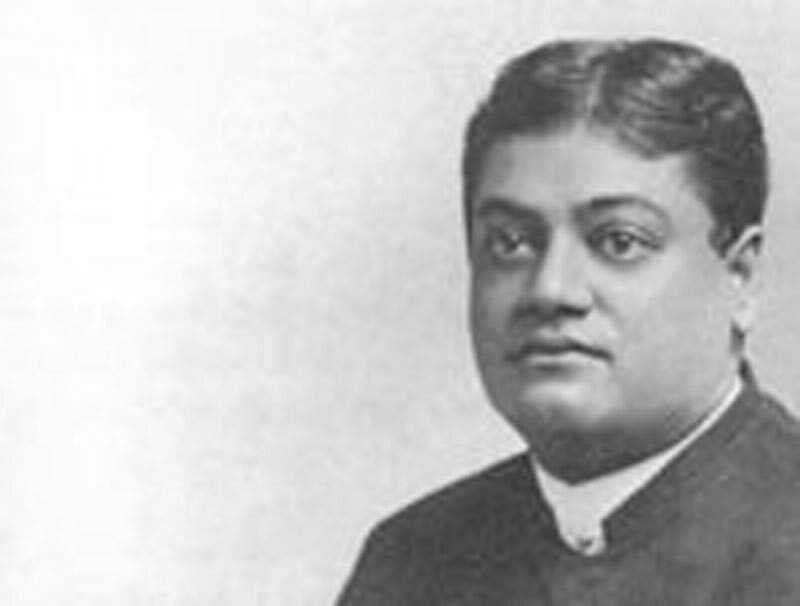 Letters written by Swami Vivekananda from Boston (1896) - Frank Parlato Jr. Your letter informed me of everything; but I note that you do not so much as refer to the cable I sent about the celebration. The dictionary that Shashi sent a few months ago has not arrived so far. ... I am going to England soon. Sharat need not come now at all; for I am myself going to England. I do not want people who take such a long time to make up their minds. I did not invite him for a European tour, and I do not have the money either. So ask him not to come, and none else need. On perusal of your letter on Tibet, I came to lose all regard for your common sense. In the first place, it is nonsense to say that Notovitch's book is genuine. Did you see any original copy, or bring it to India? Secondly, you say you saw in the Kailas Math the portrait of Jesus and the Samaritan Woman. How do you know that it was Jesus' portrait, and not that of a man in the street? Even taking it for granted, how do you know that it was not put up in the said Math by someone who was a Christian? And your opinions on the Tibetans too are unsound; you did not certainly see the heart of Tibet, but only a fringe of the trade route. In places like those only the dregs of a nation are to be met. If on seeing the Chinabazar and Barabazar quarters of Calcutta, anybody called every Bengali a liar, would that be correct? I received your last just now and it frightened me immensely. The lectures were delivered under the auspices of certain friends who paid for the stenography and all other expenses on condition they alone will have the right to publish them. As such, they have already published the Sunday lectures as well as three books on "Karma-Yoga", "Raja-Yoga", and "Jnana-Yoga". The Raja-Yoga especially has been much altered and re-arranged along with the translation of "Yoga-Sutras of Patanjali". The Raja-Yoga is in the hands of Longmans. The friends here are furious at the idea of these books being published in England; and as they have been made over to them by me legally, I am at a loss what to do. The publication of the pamphlets was not so serious, but the books have been so much re-arranged and changed that the American edition will not recognise the English one. Now pray don't publish these books, as they will place me in a very false position and create endless quarrel and destroy my American work. By last mail from India I learn that a Sannyasin has started from India. I had a beautiful letter from Miss Müller, also one from Miss MacLeod; the Leggett family has become very attached to me. I do not know anything about Mr. Chatterji. I hear from other sources that his trouble is money, which the Theosophists cannot supply him with. Moreover the help he will be able to give me is very rudimentary and useless in the face of the fact of a much stronger man coming from India. So far with him. We need not be in a hurry. PS. I am coming sure in March as early as possible. Herewith [words excised] to countersign it and put it [words excised]. I am afraid I have made a mistake in writing Miss to your name. In that case you will have to sign also as Miss etc. I am enjoying Boston very much, especially the old friends here. They are all kind. Reply promptly. Write fully later on. I had no time to write a line even, I was so busy. I am enjoying Boston immensely, only hard work. The meeting with old friends is very pleasing, no doubt. The so-called class swelled up to 500 people last night and, am afraid, will go on increasing. Everything going on splendidly. Mr. Goodwin as nice as ever. We are all friends here. I go next week to Chicago. Hope everything is going on well with you there. Kindly give my love to Mrs. Phelps, Mr. Phelps and all the rest of my friends.
. . . One of my new Sannyasins is indeed a woman. She was a leader of the labourers. The others are men. I am going to make some more in England and take them over to India with me. These "white" faces will have more influence in India than the Hindus; moreover, they are vigorous, the Hindus are dead. The only hope of India is from the masses. The upper classes are physically and morally dead. . . .
My success is due to my popular style--the greatness of a teacher consists in the simplicity of his language.
. . . I am going to England next month. I am afraid I have worked too much; my nerves are almost shattered by this long-continued work. I don't want you to sympathise, but only I write this so that you may not expect much from me now. Work on, the best way you can. I have very little hope of being able to do great things now. I am glad, however, that a good deal of literature has been created by taking down stenographic notes of my lectures. Four books are ready. . . . Well, I am satisfied that I have tried my best to do good, and shall have a clear conscience when I retire from work and sit down in a cave. Last week I wrote you about the Brahmavâdin. I forgot to write about the Bhakti lectures. They ought to be published in a book all together. A few hundreds may be sent to America to Goodyear in New York. Within twenty days I sail for England. I have other big books on Karma, Jnana, and Raja Yogas — the Karma is out already, the Raja will be a very big book and is already in the Press. The Jnana will have to be published, I think, in England. A letter you published from Kripananda in the Brahmavadin was rather unfortunate. Kripananda is smarting under the blows the Christians have given him and that sort of letter is vulgar, pitching into everybody. It is not in accord with the tone of the Brahmavadin. So in future when Kripananda writes, tone down everything that is an attack upon any sect, however cranky or crude. Nothing which is against any sect, good or bad, should get into the Brahmavadin. Of course, we must not show active sympathy with frauds. Again let me remind you that the paper is too technical to find any subscriber here. The average Western neither knows nor cares to know all about jaw-breaking Sanskrit terms and technicalities. The paper is well fitted for India — that I see. Every word of special pleading should be eliminated from the Editorials, and you must always remember that you are addressing the whole world, not India alone, and that the same world is entirely ignorant of what you have got to tell them. Use the translation of every Sanskrit term carefully and make things as easy as possible. Before this reaches you I will be in England. So address me c/o E. T. Sturdy, Esq., High View, Caversham, Eng.
. . . Push on with the work. I will do all I can. . . . If it pleases the Lord, yellow-garbed Sannyâsins will be common here and in England. Work on, my children. Mind, so long as you have faith in your Guru, nothing will be able to obstruct your way. That translation of the three Bhâshyas (commentaries) will be a great thing in the eyes of the Westerners.
. . . Wait, my child, wait and work on. Patience, patience. . . . I will burst on the public again in good time. . . .